Although many reports are emerging which show that the Las Vegas terrorist, Stephen Pollack, was a recent convert to Islam; this is being shut down by the MSM. Initial reports: Las Vegas shooter “recent convert to Islam.” Now: “We have no idea what his belief system was. Police take shooter’s female companion into custody after attack which left more than 50 dead, 100 wounded. 2 Police officers among dead. While initial reports claimed Paddock was a recent convert to Islam, Clark County Sherrif [sic] Joseph Lombardo said he had no knowledge of Paddock’s religious beliefs. Authorities are now searching for the shooter’s companion, a 62-year-old woman identified as Marilou Danley, whom police have called “a person of interest”. KHOU-TV‘s Bill Bishop identified Danley as Paddock’s wife. I’ve read other reports stating that Paddock was a radical left wing Democrat. Only time will tell what prompted this madman to carry out this unthinkable massacre. *****Update: ISIS has claimed responsibility for the massacre on Twitter. Pray for the families of the dead. Pray for the wounded that they may recover. Pray that many will come to Christ in the midst of this horrific terrorist attack. Now more calls for gun control. Question for those who favor more laws. Name one law that would have prevented this. It’s against law to shoot someone. I heard the shooting and this guy had a automatic weapon which is illegal in all fifty states. This guy was a convicted felon, illegal for him to buy or possess a gun. How many laws did this guy break in his commission of this crime? More laws? I don’t think so. There is no law that would have prevented this horrific terrorist attack – not one. I agree can we as Christians say that if those who died if they didn’t receive Jesus Christ as their Savior and Lord they are in hell we should be able to take about heaven and hell right? Also John 10:10 as well. God Bless You and let’s pray for those injured in today’s shooting that they come to a saving knowledge of Jesus Christ. Islamic/Leftist? Not sure yet. At this point it’s hearsay. It would not surprise me though. What I can unequivocally state is; this is demonic at its core. Things like this I believe will happen with more intensity and frequency. We as a nation have given the LORD the boot. First from school prayer to the present hostility toward God. The world at large is sinking deeper into the abyss of the enemy and his disillusionment. 1 But realize this, that in the last days difficult times will come. This needs each of us, the Body, to do battle on our knees. The Lord of Host is our refuge and salvation. Only in Him shall there be peace. 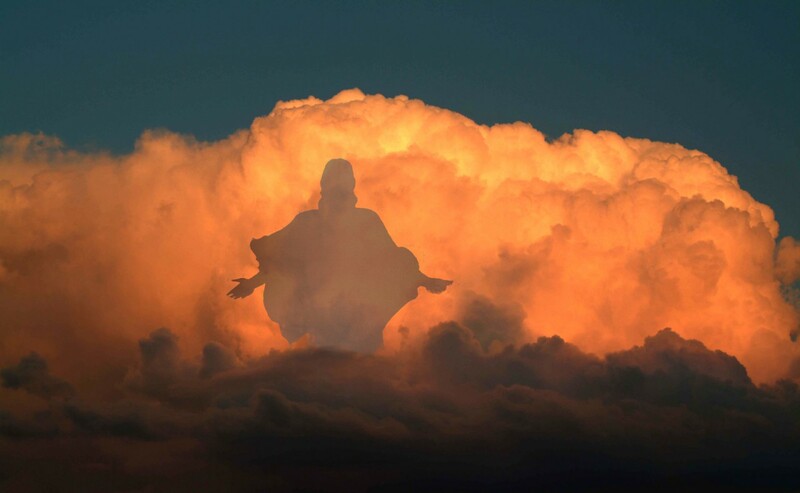 27 “Then they will see THE SON OF MAN COMING IN A CLOUD with power and great glory.